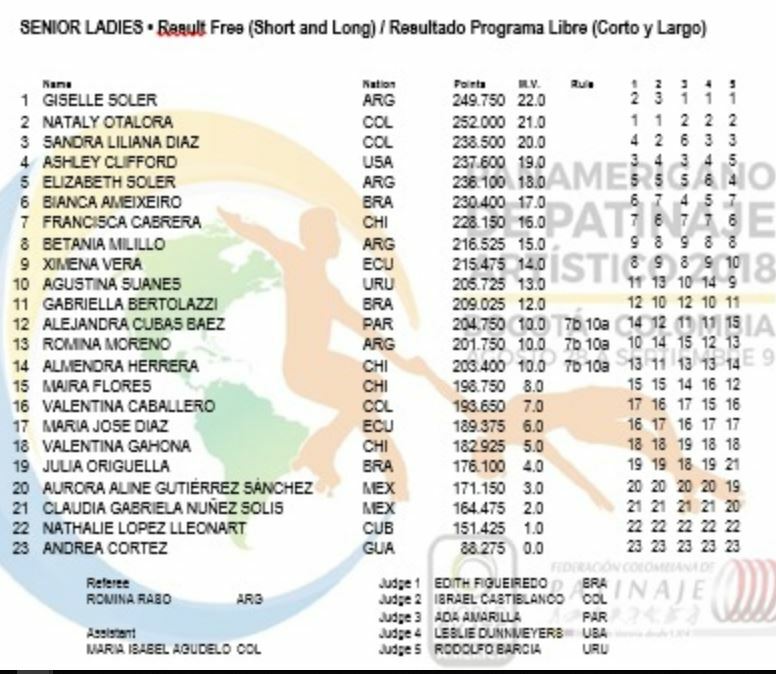 Not yet, but probably the Colombian Skating Federation will upload them at their page. I watched the live streaming of the competition at the fed's facebook page, and then paused it when they showed the scoreboard. So apparently Paraguay won the men's title? 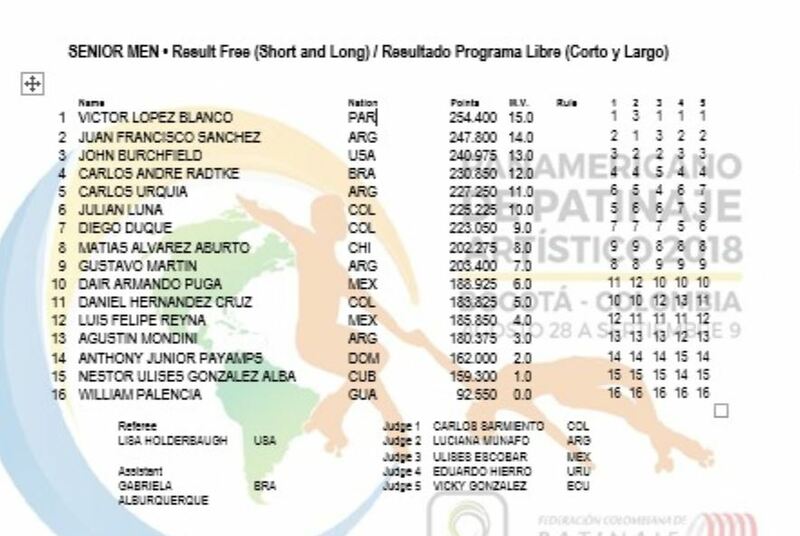 If he manages to repeat this result next year, it will be Paraguay's first gold ever at the Pan American Games! 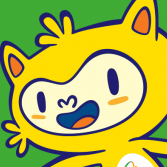 Did Brazil's defending gold medalist retire? I am looking at the canoe sprint qualification system and it says a maximum of 16 athletes can be entered. But when you add up the max per discipline (11 for kayak and 6 for canoe) you get 17. Is there a rule I a missing perhaps? If I'm interpreting the rules correctly, the maximum total athletes is 16... that means that you can't get maximum number of competitors in each discipline... for example if you qualify 3 in men's & women's canoe, and 6 in men's kayak, you could only have 4 women in kayak; likewise, if you've already qualified 5 women in kayak, then you can only qualify 5 men in that boat discipline. The only other restriction is that if a NOC doesn't have entries in women's canoe, max number of athletes is 13; currently, that's is the case for Argentina. In the end, I think that iPanam Canoe Confederation will manage to give additional quotas to some NOC's, as there have been events in which current rules have left open spaces. Hosting the event in Canada is never a good idea .. so many countries are not here compared with 2014 (Barbados, Nicaragua, Dr, Venezuela). I guess the silver lining is Belize will qualify at least 2 here (one woman qualified and they will get a reallocation in k1 1000 most likely). Well, probably is not the choice of venue, but rather lack of funding for those federations, as some of them recently competed in CAC Games, so probably not enough money to support them in Canada.